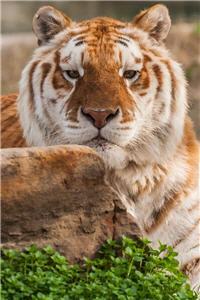 In February of 2003, In-Sync Exotics spearheaded a rescue of 33 tigers from a roadside wildlife park. 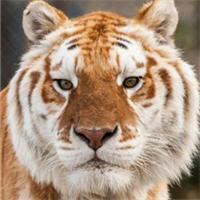 At the time of the rescue, we only had room to accept three tigers—Raja, Jasmine and Midas. The rest of the animals required placement, so we coordinated and met with various individuals, organizations, and the USDA to ensure that every cat reached his or her destination in good condition. For six weeks, we made sure the tigers were well-fed and cared for until they had all been transported to their new homes. On February 10, 2003, we transported our beloved Midas’s brother, Tyjar, to a friend’s facility in Scurry TX, recommended by the USDA,. When we said our good-byes to Tyjar it was a bitter sweet moment for us all. We knew that Tyjar would have a good home and that he would be loved; we just hated splitting up the brothers whom had lived next to each other in their old location for the past 5 years. We asked of our friend that if, for any reason, Tyjar didn’t work out would he please give us a call so we could have the first option to house Tyjar with us. As fate would have it, we lost Midas in April of 2011 after a long battle with skin cancer. On January 18, 2012, our friend called us and asked if we would be willing to take Tyjar on a permanent basis. Our hearts jumped with joy at the opportunity of giving Tyjar a new forever home with us! For the past nine years, Tyjar traveled the United States as a circus star. 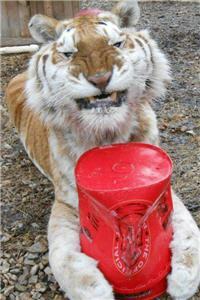 Each time we checked in on Tyjar, we saw a happy, well-adjusted tiger. Up until recently, Tyjar enjoyed working with the other performing cats. However, about a month ago that changed. Two younger females took it upon themselves to start “bullying” Tyjar during playtime. As this behavior escalated some of the older tigers joined in. As Tyjar started showing signs of stress, our friend made a difficult, loving decision. He felt a change in location where he could spend the rest of his life with his birth mother and sister, Jasmine and Samu, would be best. 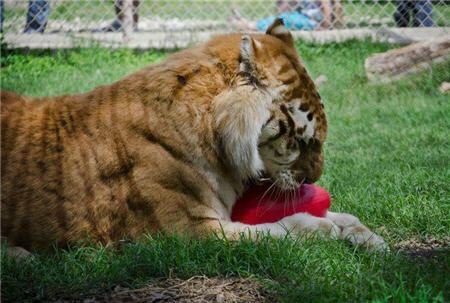 On January 20, with tears of sadness and joy at both facilities, Tyjar was moved to his new home at In-Sync Exotics and reunited with his family. We wish Midas was still with us so he could see his brother once again. For more images of Tyjar click here!